The Buffalo real estate market, like most of the cities in the state of New York, was subjected to crippling weather conditions for the better part of winter. The entirety of Western New York, for that matter, was essentially stalled in November. The real estate industry, in particular, has experienced what many might call a set back. However, as spring inches closer, the Buffalo real estate market appears to be making progress. Home sales in Western New York have mounted an incredible comeback in December. In the last month of 2014, home sales increased more than 22 percent. According to the Buffalo Niagara Association of Realtors (BNAR), December was the beneficiary of 988 closed transactions. That number is considerably higher than the 806 closed deals seen in the previous year. At just under 1,000, last December was the highest level of closed deals in 15 years. In fact, closed deals have not exceeded 900 since the turn of the century. Fortunately, experts believe the upward trend in the Buffalo real estate market will continue well into 2015. As of December, pending sales were up to 535, or 6.2% more than the previous year. Those pending sales should buffer 2015 numbers, and encourage both buyers and sellers. The Buffalo housing market boasts a median home price of $134,900. Current values are the result of a 9.1% increase over the course of three years. However, in spite of growth, Buffalo homes continue to lag behind the national average: $216,567. Perhaps even more importantly, homes have appreciated by 28% on a national level. That is considerably more than the Buffalo area as a whole. So while the Buffalo housing market appears to be heading in the right direction, it is facing plenty of headwinds. Homes purchased in the Buffalo housing market one year ago have depreciated, on average, by $157. The national average saw an increase of $12,783 over the same period. Homes purchased in the Buffalo housing market three years ago have appreciated, on average, by $17,100. The national average was $55,406 over the same period. Homes purchased in the Buffalo housing market five years ago have appreciated, on average, by $23,949. The national average was $49,675 over the same period. Homes purchased in the Buffalo housing market seven years ago have appreciated, on average, by $33,776. The national average was $9,474 over the same period. Homes purchased in the Buffalo housing market nine years ago have appreciated, on average, by $45,895. The national average increased $3,419 over the same period. Again, Buffalo has faced an uphill battle in regards to the housing sector recovery. However, its job sector continues to support economic expansion. As recently as the end of 2014, Buffalo’s unemployment rate dropped to 5.7%, a year-to-year decrease of 1.3 percent. At its current rate, Buffalo’s unemployment rate is below the national average. In addition to a relatively stable labor force, Buffalo’s private-sector job growth has recently outperformed the entire state of New York. In the period of one month, Buffalo increased its job growth rate to 1.2 percent. The combination of steady job growth and low unemployment rates should continue to support the local economy. 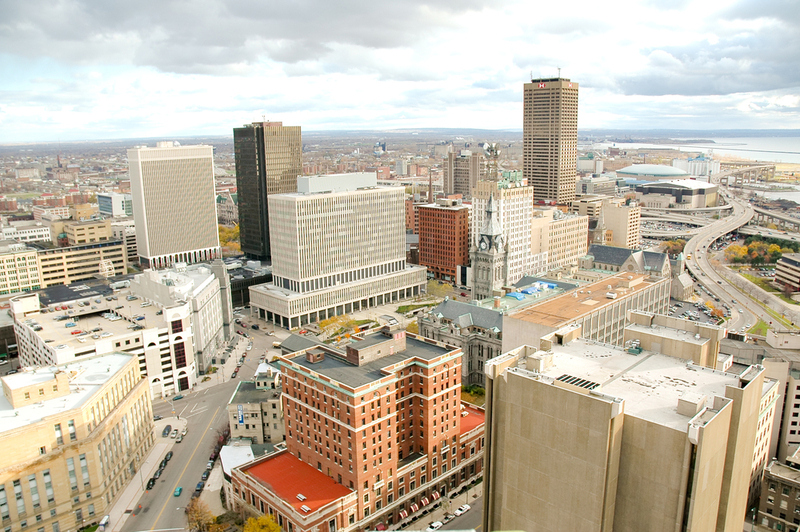 In turn, the job sector will promote supply and demand within the Buffalo housing market. The Buffalo real estate market has one really important factor working in its favor: affordability. In addition to boasting a strong labor force, Buffalo homes are much more affordable than the national average. Whereas the average U.S. homeowner has become accustomed to spending more than 16% of their income on monthly mortgage payments, Buffalo residents allocate less than 7 percent. With that in mind, the Buffalo housing market has become a desired location for younger populations. Millennials, in particular, have begun to seek out similarly affordable markets like Tampa and St. Louis. Conversely, Buffalo is much more attractive to Millennials than cities like Seattle and Honolulu, where affordability is significantly less. According to Zillow, the percentage of homeowners behind on their payments is 6.8%, just over the national average of 6.4 percent. The most popular neighborhoods, according to Trulia, are Delaware-West Ferry and North Park, with asking prices of $399,960 and $151,194 respectively. However, while not quite as popular, investors should pay attention to the activity recently witnessed in Cazenovia Park. Over the course of a week, Cazenovia Park saw its asking price increase more than 30 percent. The Buffalo housing market has certainly seen better times, but it appears to have turned things around. After a rough start to the winter season, the local real estate market has bounced back considerably. In fact, experts consider the Buffalo real estate market to be healthy and exhibit a 3.1% increase in home prices over the next year. The Buffalo housing market has seen some pretty rough times since the onset of the recession. The Western New York city was one of the hardest hit. Unfortunately, not a lot of ground has been made up since we last checked in with Buffalo real estate. According to the National Association of Realtors (NAR), the current median home price in Buffalo is $117,300. That number has declined from $134,000 in a matter of one quarter, and appreciation rates continue to drop. That said, affordability is historically strong. The Buffalo housing market is one of the most affordable in the country. The unemployment rate in Buffalo is on the rise, and lagging behind the rest of the country. On the other hand, there has been a slight uptick in the job growth rate in the area. Buffalo’s 1-year job growth rate is now at 1.5 percent. While lower than the national average, it does market an improvement for a city that drastically needs it. The Buffalo real estate investing community will appreciate affordability in the form of distressed properties. According to RealtyTrac, there are about 356 properties in some state of foreclosure in the Buffalo housing market (default, auction or bank-owned).That number actually represents a decline of 22 percent over the last month. Of course, in addition to availability, the Buffalo real estate investing community is equally interested in the discounts these homes provide. According to data presented by RealtyTrac, distressed homes sell for about 40.6 percent less than non-distressed homes. At that rate, investing in Buffalo is much more affordable.